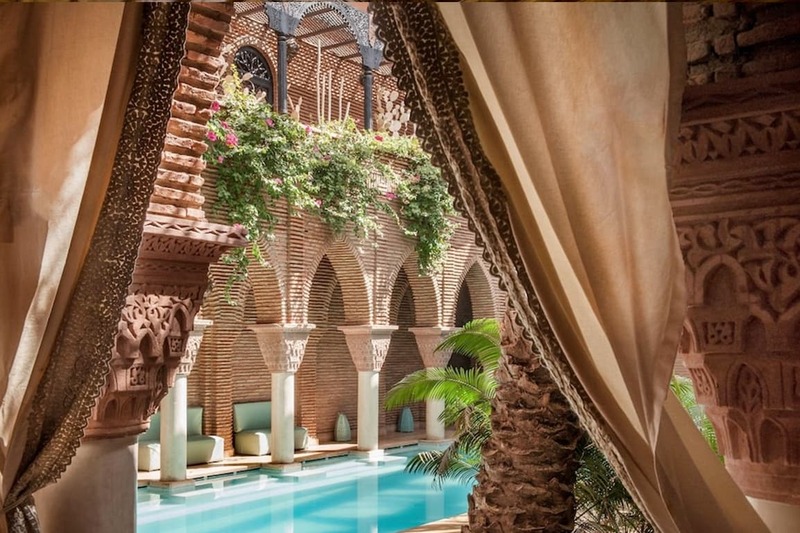 Marrakech, Morocco’s wildest city, is also the country’s most popular travel destination for its rich historical and cultural offerings. 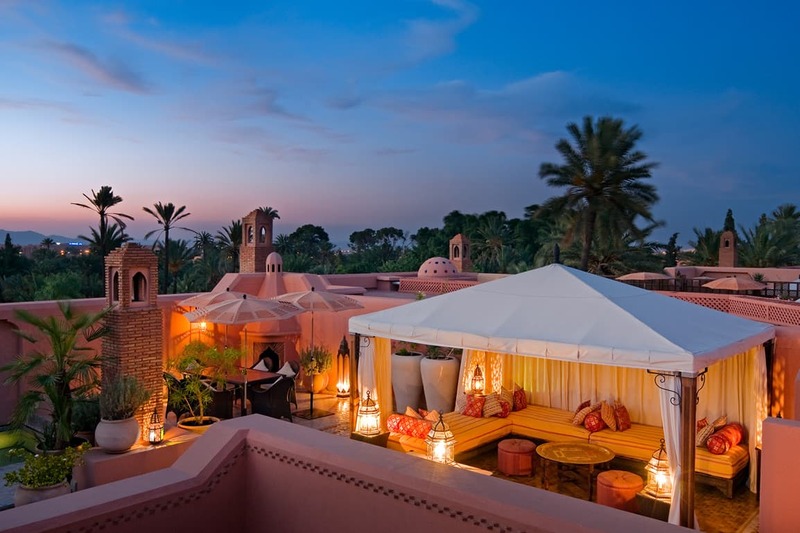 However, with so much going on in this dynamic city from the mesmerising mosques, palaces and gardens, to the world-famous Jemaa el-Fnaa square and colourful souk markets — it can easily make you feel overwhelmed rather than relaxed on holiday. 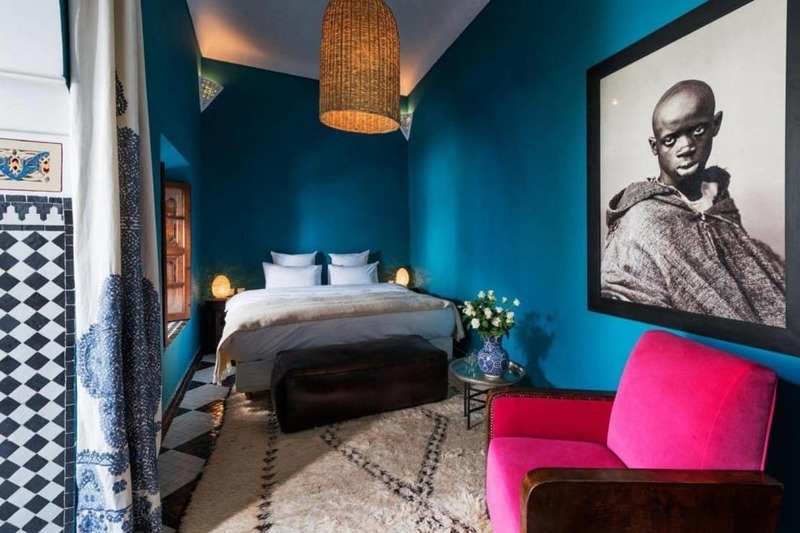 Which is why choosing the right accommodation is especially important, so you can take a break away from the hustle of the city and enjoy a blissful escape before your next adventure begins. 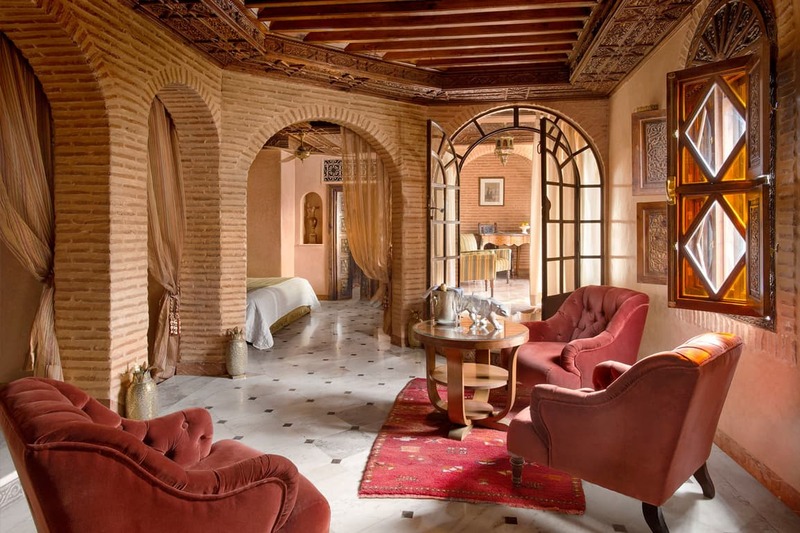 Some might say no visit to Morocco is complete without staying in a riad. 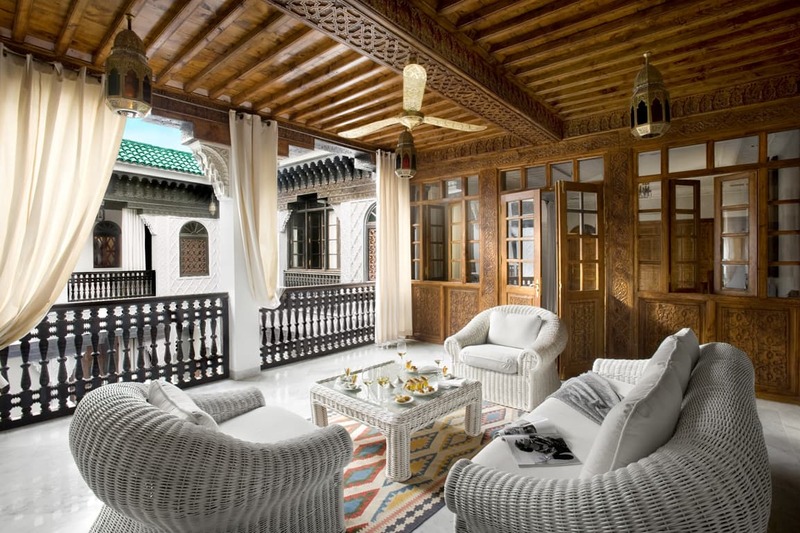 Traditionally, a riad is a rectangular house with an interior courtyard, and they can be found in nearly every Moroccan city. 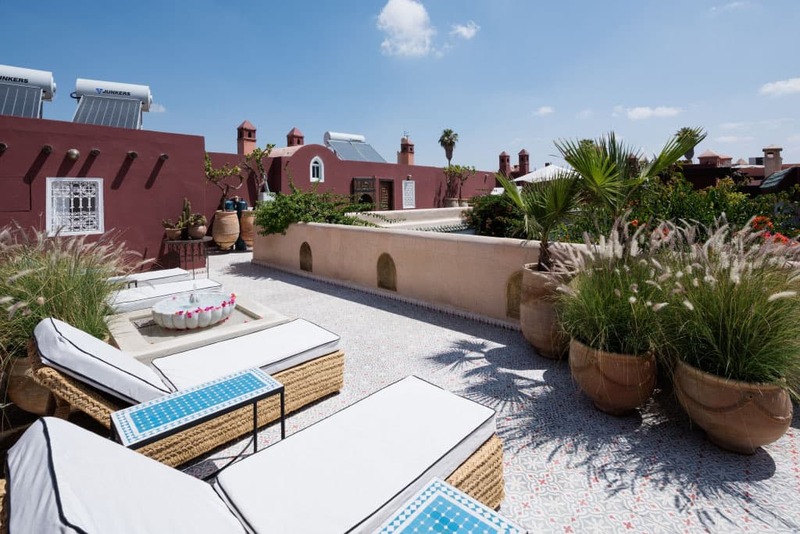 Usually tucked away in the medinas, a typical riad will have a garden by the courtyard where you can enjoy an afternoon bite with other guests under the sun, as well as a roof terrace with a pool so you can lounge away and recharge from all the hustle and bustle of the city outside. 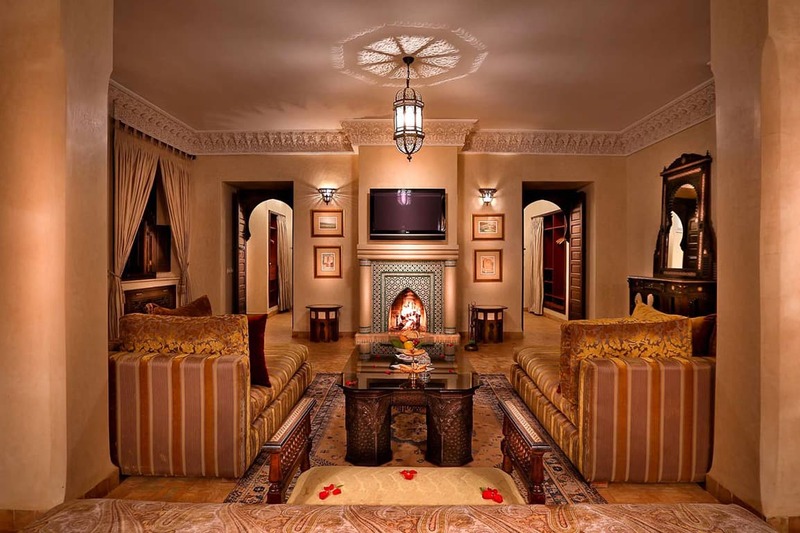 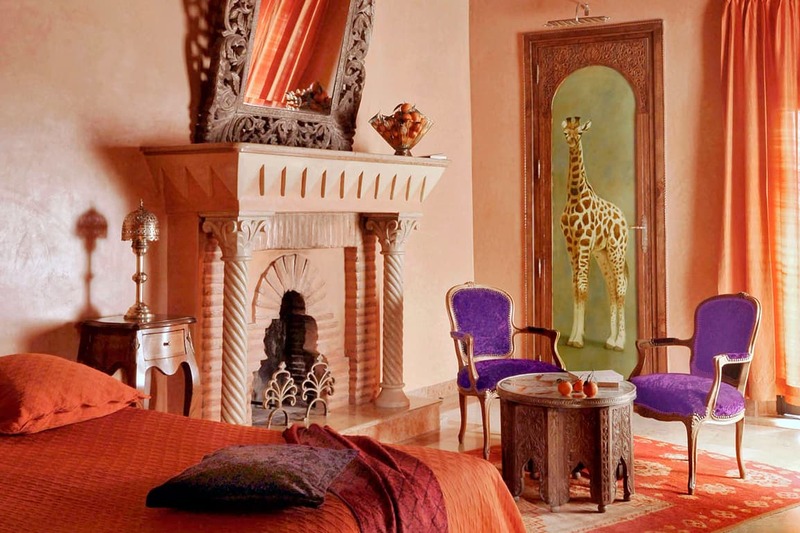 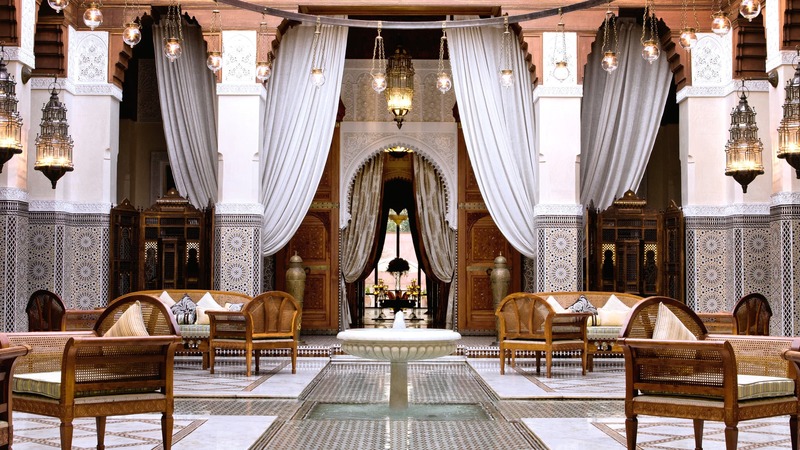 Looking for recommendations on the most beautiful riads in Marrakech? 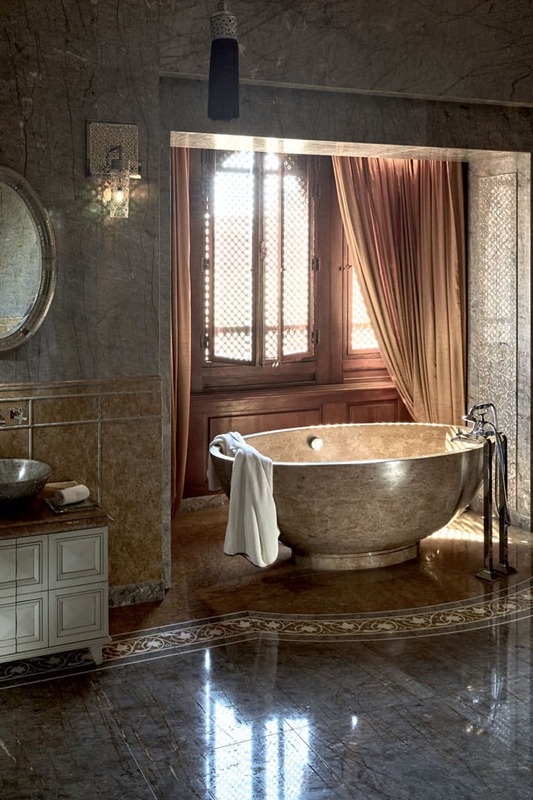 Scroll down to find out some of our favourites. 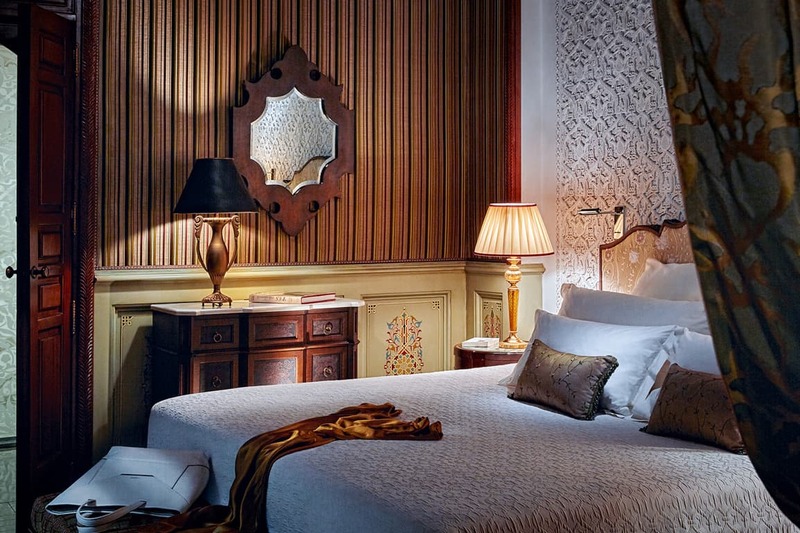 Situated right in the heart of the Kasbah area, the La Sultana is considered one of the most stunning hotels in Marrakech. 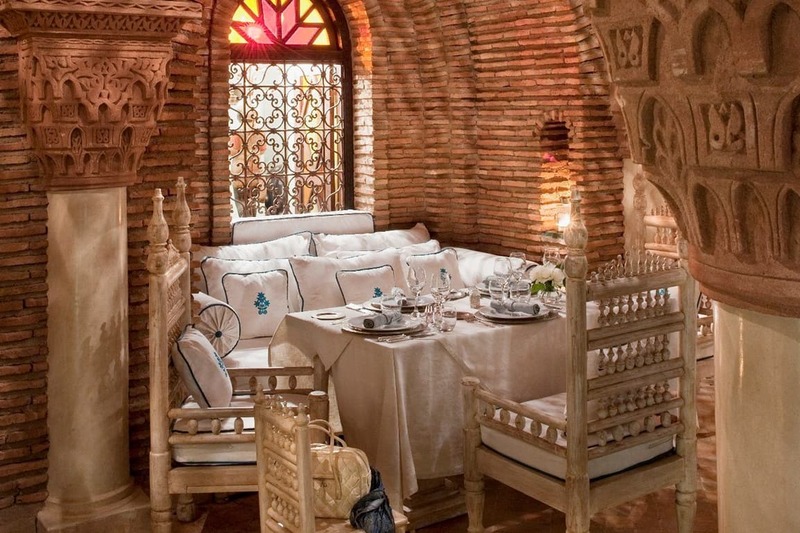 It consists of five separate riads, with each of them decorated in a different style inspired by a specific historical era. 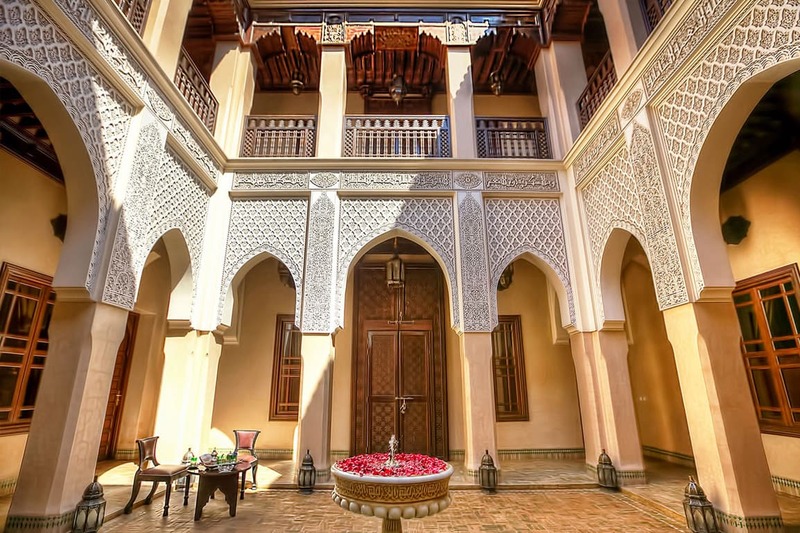 From the stucco ornamentation to the hand-carved woodworks, everywhere is filled with intricate decorative details that offer visitors an absolute visual feast. 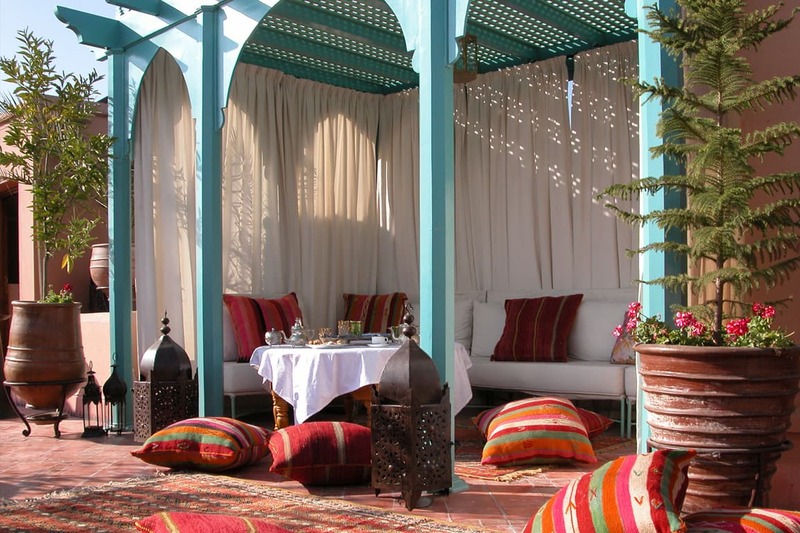 Don’t forget to hop up to the roof terrace, which offers a spectacular view overlooking the city and the Atlas Mountains. 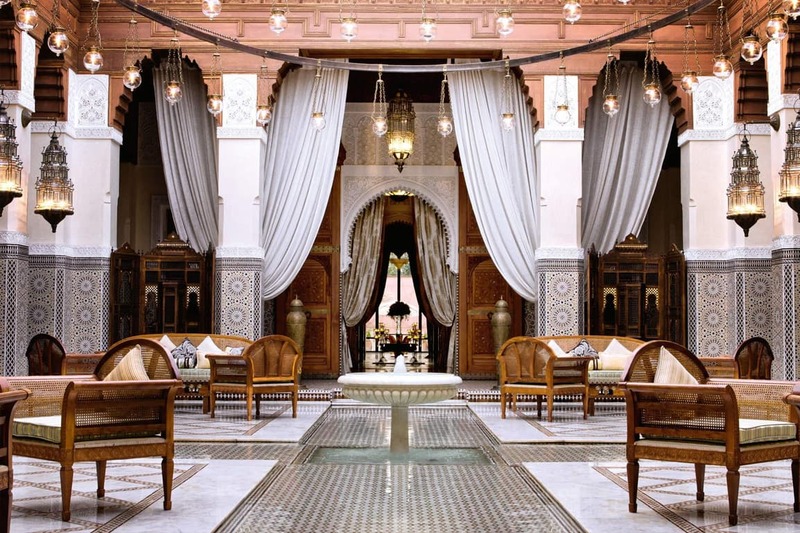 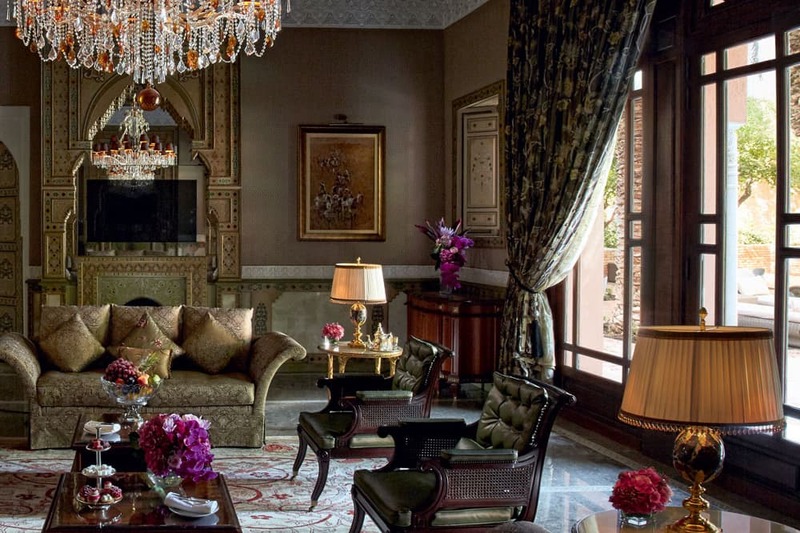 A luxurious hotel palace commissioned by King Mohammed VI, the Royal Mansour Marrakech is an extravagant masterpiece that should impress even the most jaded traveller. 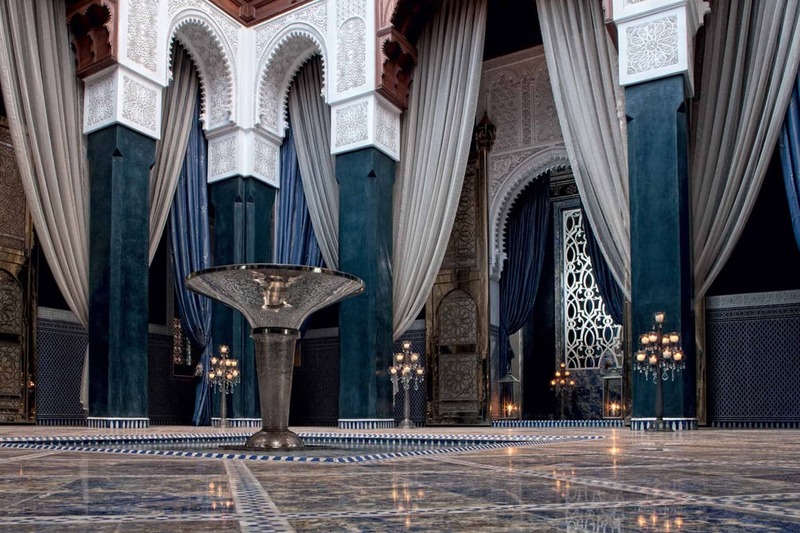 It took more than a thousand craftsmen over three and a half years to complete, and absolutely no details were spared. 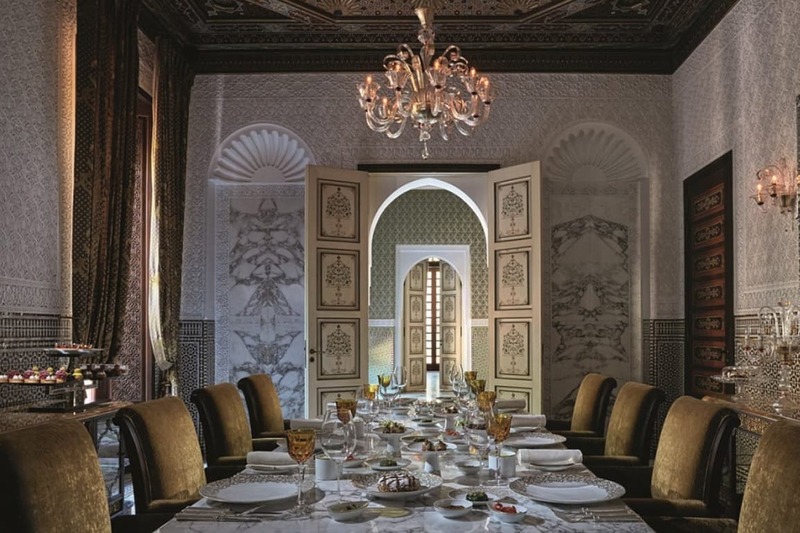 From the custom-made furniture in haute couture fabrics to fine artworks, its 53 three-storied private riads are all individually furnished by craftsmen from Marrakech, Essaouira, Fès and Meknès, all with the aim to highlight the infinite variety of Moroccan decorative arts. 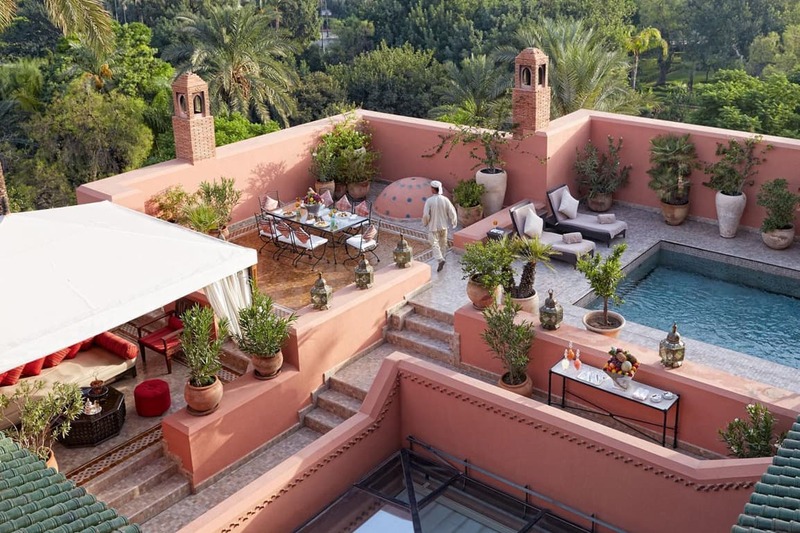 Each riad houses its own little garden and balcony, as well as a roof terrace with private pool, where you can enjoy the views of the Atlas Mountains. 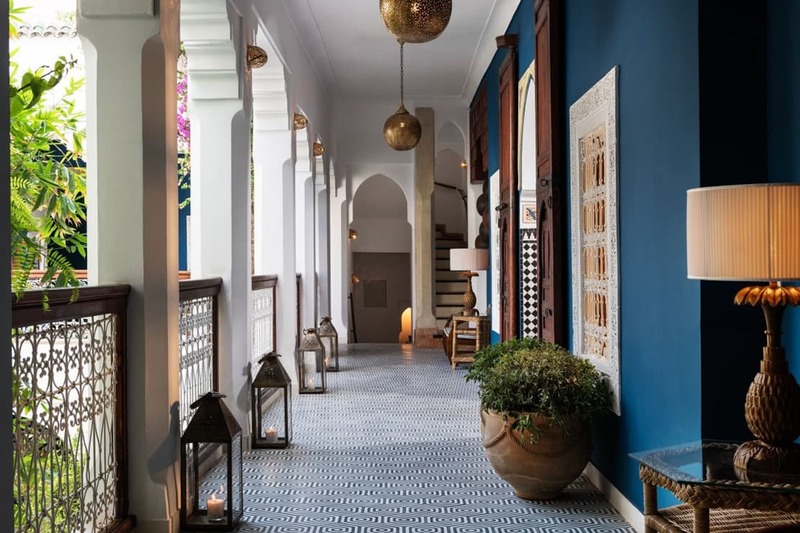 Thanks to Riad El-Fenn’s general manager and interior designer, Willem Smith, the Riad Les Yeux Bleus has been brilliantly transformed from a typical medina house into what it is now: a stylish and sophisticated modern Moroccan home. 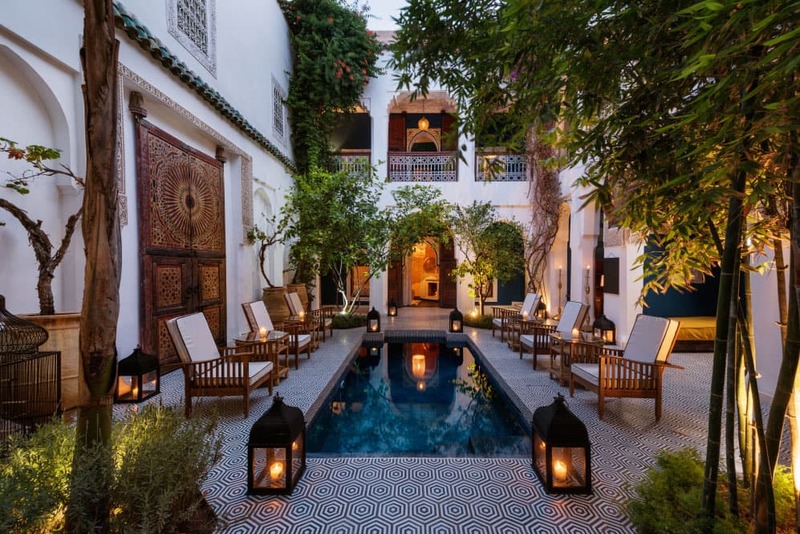 It houses two courtyards and eight rooms furnished with colonial touches and a different Pop Art-inspired hue such as indigo blue, mint green and mustard yellow, offering an elegant contrast to the traditional Moroccan decorative offerings from hand-painted zellige tiles to round brass chandeliers and cedar wood carvings. 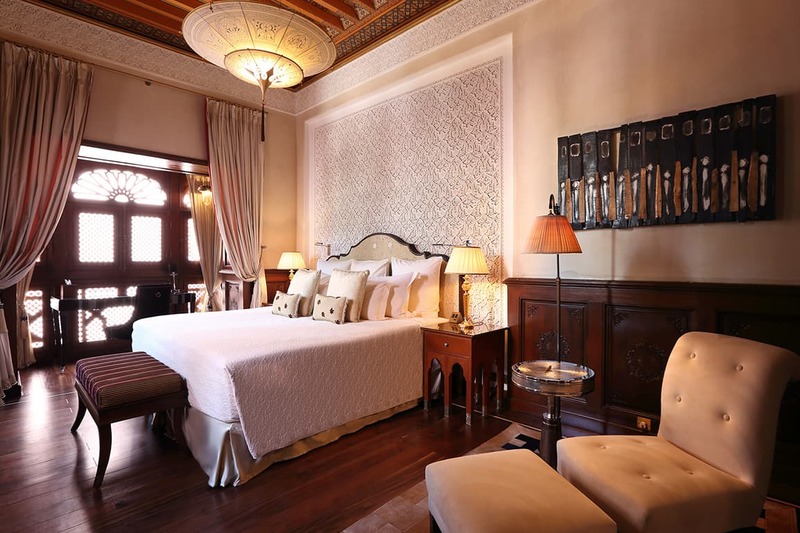 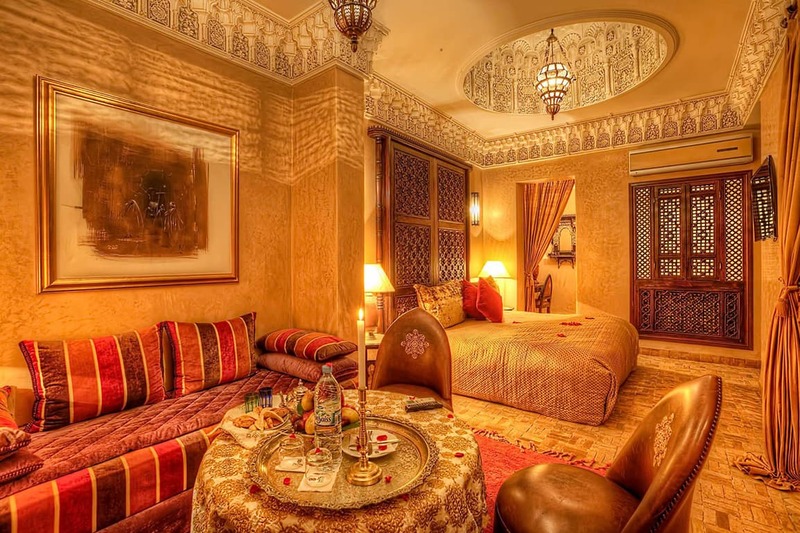 Only a mere 7-minute walk from the buzzing Jemaa el-Fnaa square, this intimate boutique hotel features 18th century Moroccan architecture restored by renowned antique dealer, Haj Mohamed Bouskri. 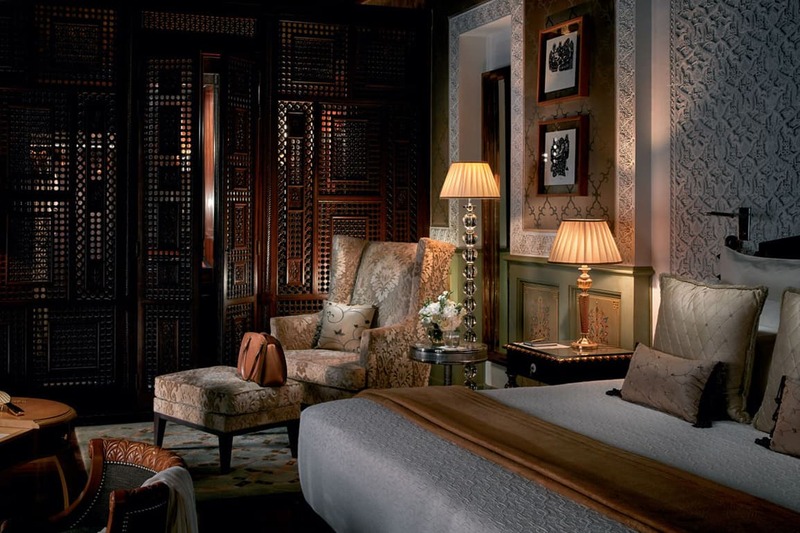 It comes with six spacious bedroom suites, all adorned with beautiful antiques for a unique taste of traditional Moroccan elegance. 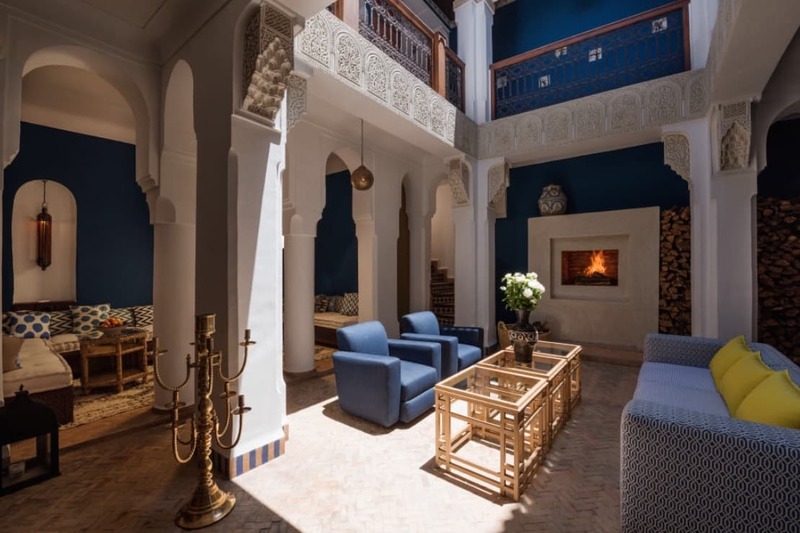 Highlights include a swimming pool, spa with traditional Hammam and sauna, beautiful communal lounges and a terrace for alfresco dining.